After a lifetime of being told there’s no such thing as a free lunch, I got one this week. 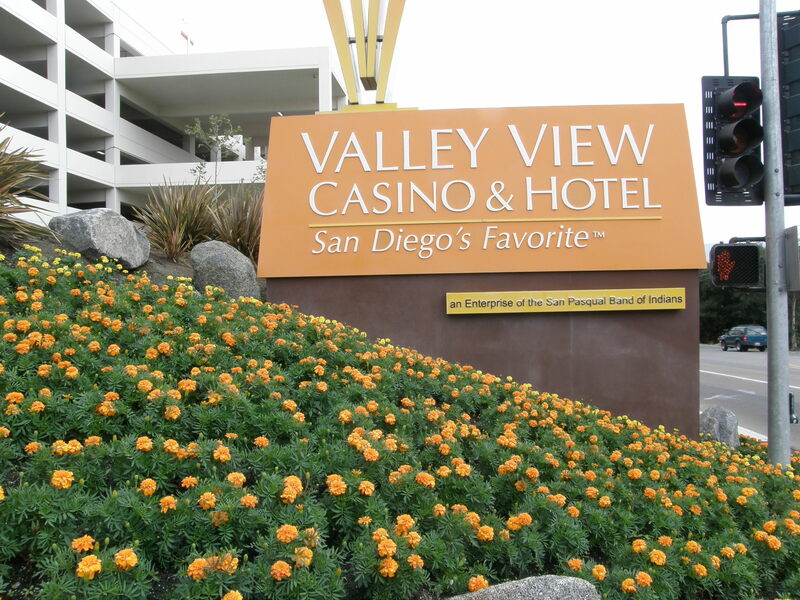 It was during a date made by my wife, Bev, to meet a long-time friend at the Valley View Casino in north San Diego County. The casino-restaurant-hotel complex calls itself “San Diego’s Favorite” and boasts about featuring lobster under a portion of its glass-covered buffet counters. The event dictated that we not worry about what didn’t get done around the house after the kids and grandkids returned to Phoenix Tuesday, wrapping up a weekend visit. We got most things re-arranged and cleaned up but the rest was left until after Bev’s auld-lang-syne appointment because she didn’t want to be so weary she couldn’t enjoy re-gossiping about the old days and catching up on the new days with her former neighbor, who had moved to Hawaii for several years before returning to Southern California after her husband died. It took us about an hour to drive up to the casino, one of a dozen or so in the county. As the name suggests, it’s perched on a high hill overlooking the countryside that’s made up mostly of a deep valley surrounded by scrubby-looking hills peppered with scrubby looking rocks, shrubs and trees. As the ladies dived into reminiscing while feeding a couple of slot machines, I went to a nearby counter and registered for a Player’s Cub card so the San Pascual Indian tribe could track how much money I lose. And I was told I get a free buffet, either lunch or dinner, with my new card. I rushed back to tell Bev and she decided to get herself a free lunch — er, Players Club card — too. As it turned out, the ladies quit feeding the machines and decided to feed themselves about the time I was ready to build my fortune. Bev’s wins and losses had bounced up and down and she wound up around $20 down. Since the buffet costs $19.95, she broke even. And, since I never got the opportunity to test my luck, I got a free lunch. The operators have every right to boast about the buffet. It was extensive and fresh, with plenty of variety. But no lobster at lunch, only at dinner. Posted in OnTheRoad, United States.